Saved from the depths of retrospective obscurity this overly familiar vocal sample now gets a fresh injection of meaning. Indeed, it surely says something about the producer who has transformed the clique into something so vibrant and exciting. The sonically charged arrangement is prime-time as brutal drums plus heavy duty stabs fuse furiously intense rhythms together with the voice. What else can I say. Love this. Remaining tracks contrast neatly via the rolling tech of Why You Telling Me and the punchy funkiness of the captivating Seduction both of which work supremely well. 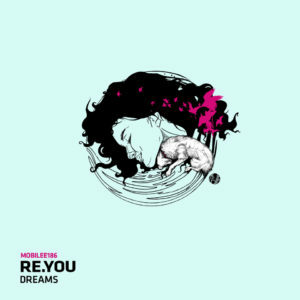 Mobilee once again delivers hot and heavy music this time round care of the excellent Re. You who equally pulls few punches with this electronically, sonically charged stereo assault. The blistering Acid informed lines of Dreams set movement in motion with tense, intense rhythms that both inform and invigorate the airwaves. Contrasting perfectly are the deeper, more soothing tones of The Feeling as bubbling bass notes drift over uncomplicated drums to help ease the previous tension. I wasn’t quite expecting this most welcome blast of cool, syncopated European Hi-Nrg to hit my airstream but the EP’s excellent title track introduces itself in a big way. 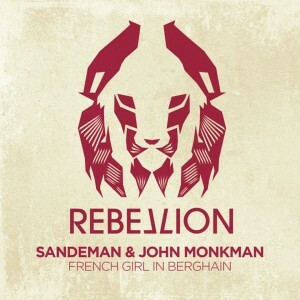 Beyond the grinding bassline and sassy drums are lots of more subtle, striking, imaginative sounds and ideas all positively brimming with possibilities. 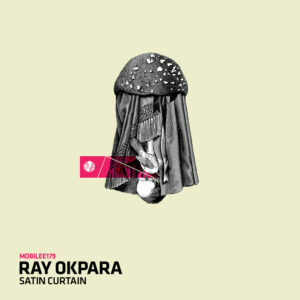 This is music to transport you somewhere else, expanding the safe constructs of what plays for a lot of the more formularic releases out there, never mind the fact that it is simply exceptional. Darius Syrossian supplies a remix that inevitably employs a tougher, more robust slant while Kevin Yost plays host to a warmer introduction of percussive rhythms alongside deeper bass on his great version. Which then leaves the remaining two originals; the Acid inspired Love Fool and the sizzling guitar infused Take 4 to complete another cut-above release from both the label and the producer. Yet more fresh, new – with the emphasis on new – music to shake up your existence as you journey into 2017. 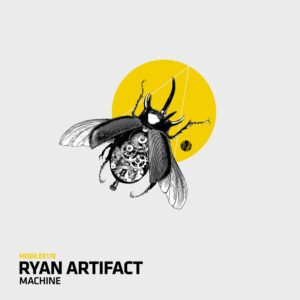 Ryan Artifact’s exhilarating title track sends smouldering bass pulses through your nervous system like there’s almost no tomorrow, then couples them with a series of unsuspecting sounds alongside insistent, nagging vocal hits. Perfectly tuned. Next, Direktions moves elsewhere focusing on taught Techno basslines, fast beats and the high life, as final number Provoke pushes its suitably titled succession of plastic beats plus reverberating voices to the limit. Since when did everything have to make sense? Reset Robot and Alan Fitzpatrick join forces to deliver this deceptively uncomplicated yet thoroughly engrossing succession of brutal beats and dark chanting voices, and yet a sense of relief is to be found in the emotive strands of synthesiser notes that enter the equation. I like that Poot allows you to create your own picture. Next, A Little Respect sees more comfortably melodic tones trip out of the stereo alongside brisk snares, vocal rushes plus expansive pads which fuel and excite your emotional sensibilities to the fullest. 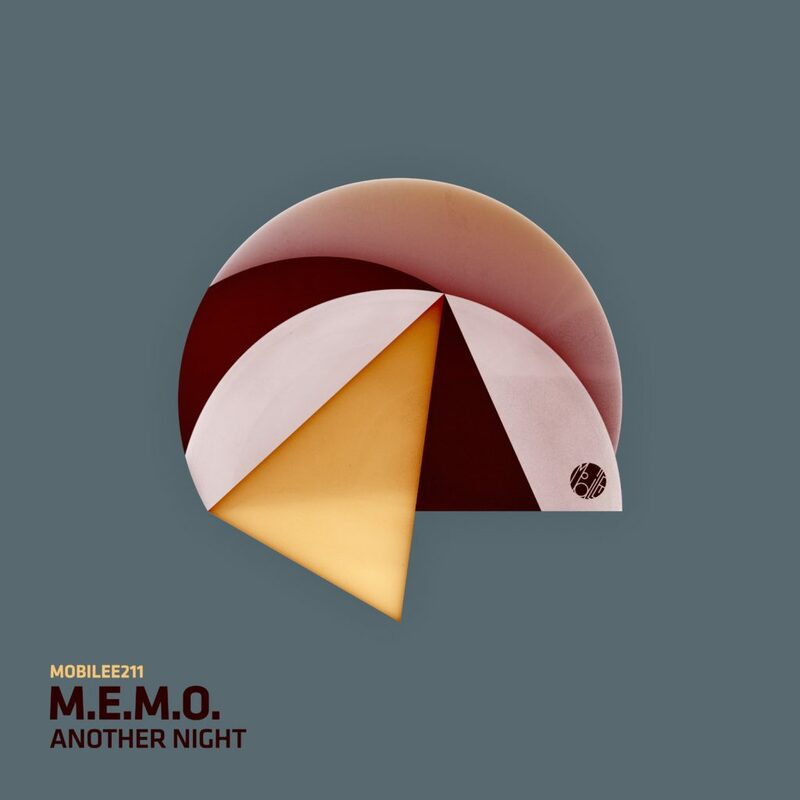 The duo finally arrive on Mobilee to deliver three equally fiery new tracks. But even if the release was just the title track alone then that would be more than enough to satisfy. The only word to do Squaring Circles some sort of justice is, explosive. A tough, heavy-duty arrangement of probing notes, pounding drums and infectious vocal edits all combine with a powerful emphasis to cause chaos. Future, occurs next on a deeper tip with dark voices accompanied by atmospheric, whirring synth lines alongside splashes of Detroit for added crunch. Leaving, Torus to end on a groovier note informed by funkier percussion plus punchy keys resulting in yet more hot, sure-fire rhythms. Not often I get to use the word outstanding but this latest from Lee Van Dowski is all of that and more. Two tracks go to make up this release for the ever excellent Mobilee and it’s the breathtaking numeric’s of 050504 that scores full points. Powered by rolling Toms and soaring vocals this is in a class all of its own sounding heavenly, and feeling distinctly anthemic. 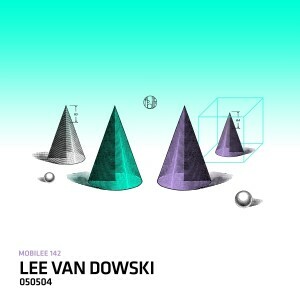 Lee’s mobile, then provides a more typically techy production that gets us just as involved with commanding synths blazing their way across pulsating rhythms. Outstanding! 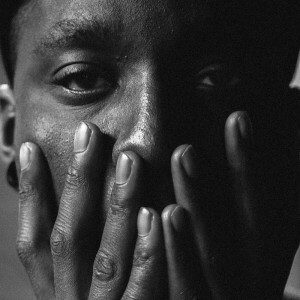 Kicking off the New Year with Petite Noir’s delightfully breathy vocal delivery is certainly a good way to start. ‘Chess’ plays tricks with the imagination via a swirling array of melodies and electronically infused rhythms accompanied by various off the wall sounds, which still manage still retain a live ‘authentic’ feel to them. Released through Domino Recordings sister label Double Six this not only pulls the heartstrings – check the lower register – but also feels slightly epic care off the cumulative Rock sensibilities employed along the way. 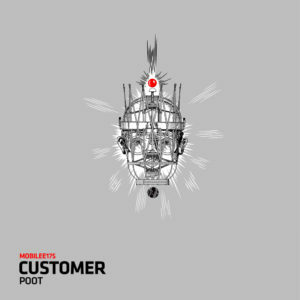 One of five great tracks on offer with the remainder all exploring similar themes plus notably the more explosive Till We Ghosts featuring Yasiin Bey (Mos Def) adding yet another twist to the picture. Released at the tail end of last year this is too good to let slip by into the ether. 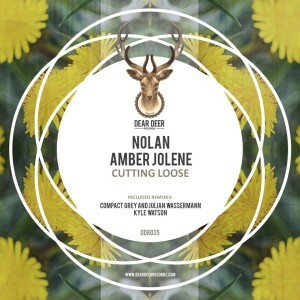 The Original version feels much funkier with loose grooves and a familiar guitar lick capping it all off, while Amber Jolene’s inevitably cool vocals add the icing to this emotive feast. 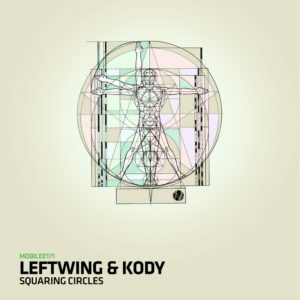 An excellent remix comes care off Kyle Watson who combines a striking amalgamation of influences transforming it all into dancefloor nirvana complete with taught Garage bass sitting comfortably alongside tough House beats and soulful Organ. Excellent production from this duo which is best played LOUD with the lights low. Its twisted combination of sizzling, sleazy grooves and seductive French spoken vocal does wonders emanating from your speakers and exists in place way beyond mere dancefloor fodder with this carefully crated arrangement of sounds playing like excitement personified. The Original Mix is complimented by a Laughapella should you require it. It’s hard to resist any of Aaron Bessemer’s irrepressible twisted Techno madness with the title track starting as things mean to go on. Curly Blonde provides you with addictive, pulverising beats and bass, splashing hi-hats and hints of vocal in amongst the background drone. Passetto then does more of the same, this time with added percussion, as the standout track Good Intentions hits next with tribal flavoured drums and hot, punchy piano adding the human touch to the otherwise relentless rhythms. Lastep, completes with funkier bass and more vocal on yet another fierce production that simply doesn’t sleep.